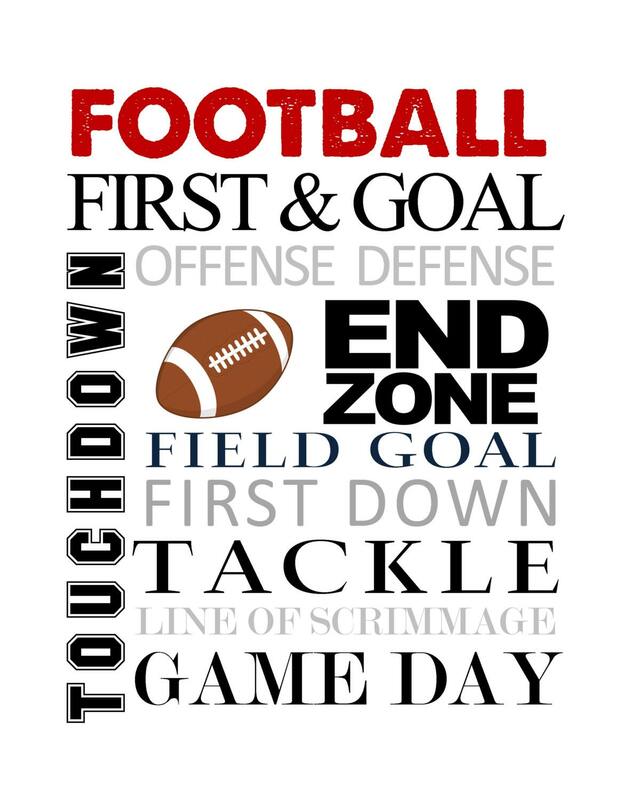 Adorable 8 x 10 print of popular football terms! 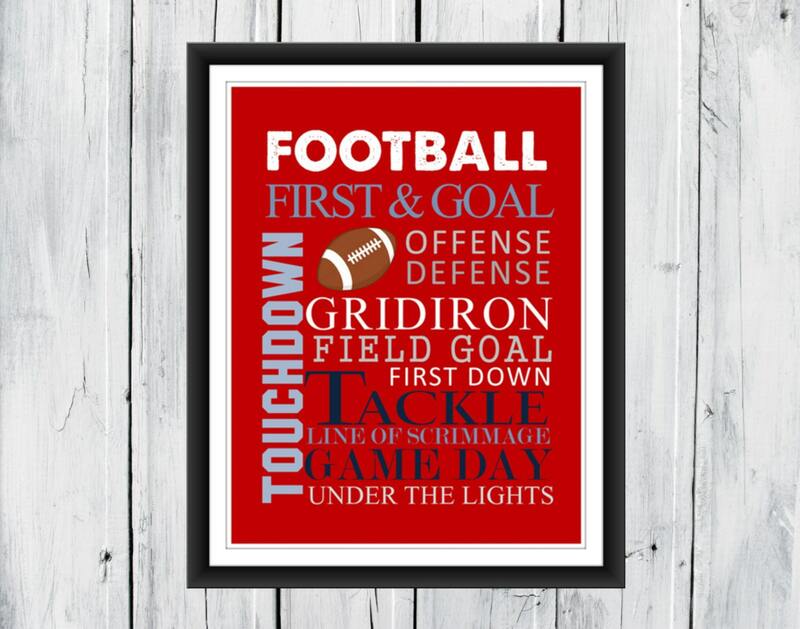 Great for a players room, or for their favorite coach! 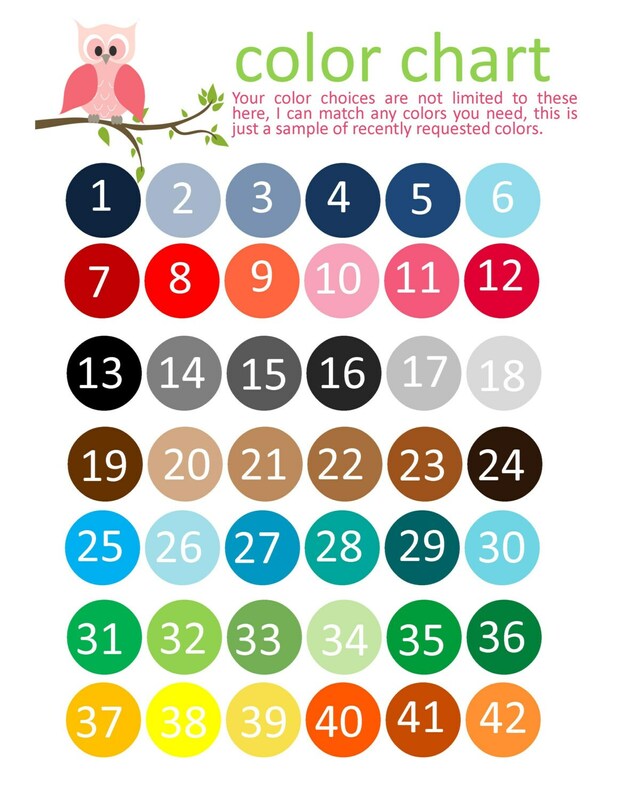 This can be done in any colors you like. 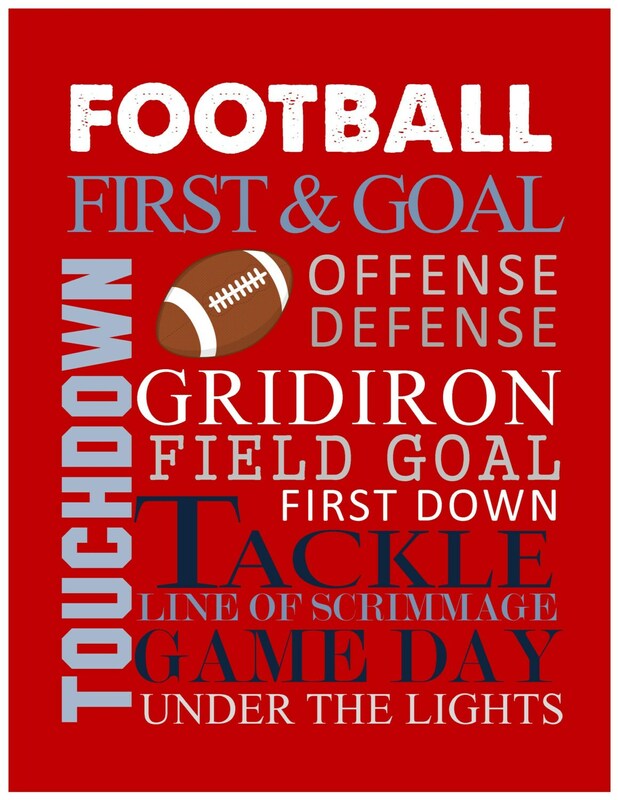 Your print will be in a much higher resolution and the colors are gorgeous.